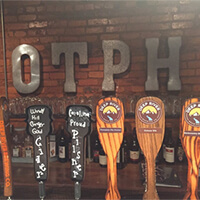 Old Town Public House is one of the best bars in Cornelius. It's a great dive bar with live music, fun people, and a ton of beer - the beer on tap alone is amazing. There's always a great crowd gathered here having a great time. There's a really cool vibe here, and the atmosphere is very comfortable so you'll feel right at home as you enjoy an ice cold beer. This is great for fun night out drinks or unwinding after a long work day! The Harp and Crown is a great local Irish pub right here in Cornelius. Plenty of beer and authentic food are what you can find here. This is such a warm, welcoming bar and we love it! There's a fantastic dessert menu and every item on it is delicious. The black bean burgers and quinoa salad are super satisfying and just the beginning of their amazing menu. Service is friendly and the beer is cold, so stop on in any day of the week! 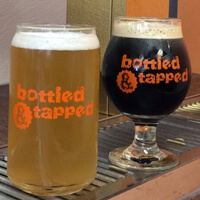 One of our favorite bars is Bottled and Tapped over on Catawba Ave. They serve beer and wine only, so it's not a cocktail joint, but they have an outstanding selection of beer and wine. Amazing craft beer and tons of locally brewed options. 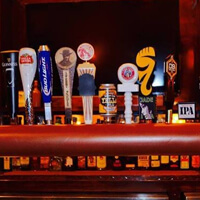 They have 16 delicious beers on tap, 5 wines on tap, and even wine slushies! They also have some great chocolates! 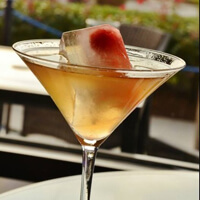 ICE Martini Bar is a unique cocktail bar in Huntersville with a super swanky yet relaxing vibe. ICE understands what it takes to make a great cocktail and you'll notice the high quality of your drink upon the first sip! This is a pretty high-end bar, so expect to pay some pretty high prices - however, it's definitely worth it! We love this place for birthdays or other special celebrations.